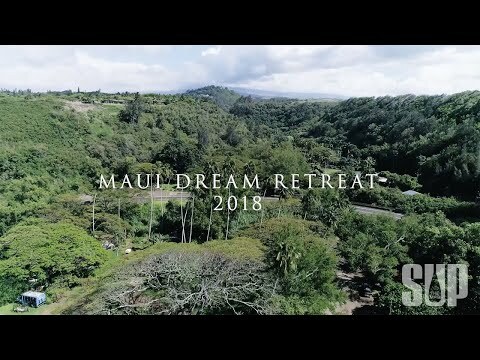 Earlier this year, a group of everyday paddlers from around the country got the opportunity to live out the ultimate SUP vacation at the 2018 Maui Dream Retreat. Participants spent a week enjoying luxurious accommodations at the Lumeria Maui on the island's north shore and learned everything they could about paddling in the Hawaiian islands. This included daily Maliko Runs with secret techniques and instruction from the World’s Fastest SUP Racer, Connor Baxter; SUP surfing lessons with pro tips from Elite SUP Surfer and Waterman, Zane Schweitzer; gourmet meals featuring fresh and healthy cuisine; daily fitness and yoga classes and much more. To get a glimpse of the action, check out these dreamy highlights from a week spent in SUP paradise.